As autumn approaches you will be searching for a type of footwear that can provide a little more protection from the extremes of the English weather. 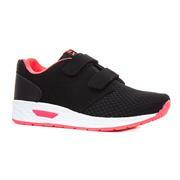 Here at Shoe Zone we have a huge selection of children’s trainers, all at exceptionally low prices. Our low prices will help you to keep on top of your children's footwear needs so that at all times throughout the year, they have exactly what they need. Not only are trainers handy for the colder months, they are useful to have around during the summer months too, for any activities that require running around or need them to wear more supportive shoes. 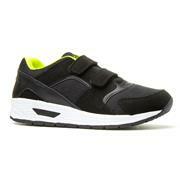 We’ve got some fantastic trainers from top footwear brands, such as Gola and Hi-Tec. 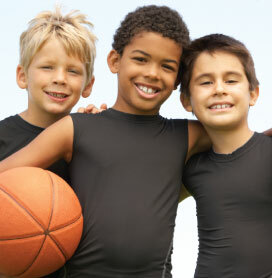 And whether they’re doing sport or just need something for everyday, you’ll find what they need here. We’ve got some hard-wearing trainers that are sports-specific, some trendy pairs that will support their feet whilst looking great, as well as some trainers featuring their favourite characters from My Little Pony and Paw Patrol. 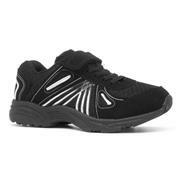 Lots of our kids’ trainers come with touch fasten and easy fasten strapping, ideal for younger children. You can head to our respective boys' footwear and girls' footwear sections for school shoes, sandals, boots, slippers and more. All of our products come with free & fast delivery within 2-4 working days at no extra cost to you. We don’t have any unwanted surprises at the checkout and believe that our customers shouldn’t pay more to get their hands on the shoes that they want. If you need them sooner than this, we also offer a free click & collect service from any of our over 500 UK outlets. For the best deals on footwear, shop at Shoe Zone. 73 products from £7.99 to £39.99.